Save on SATA Cables at CTOSoft. Top brands include OEM. & OEM. Hurry! Limited time offers. Offers valid only while supplies last. 2Ft Cat6 Non. Booted Unshielded (Utp) Network Patch Cable . Gray . Category 6 For Network Device . Rj. 45 Male . Rj. 45 Male . 2Ft . 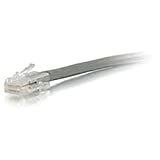 Gray "Product Type: Hardware Connectivity/Connector Cables"
Black Box Cat6 Value Line Patch Cable, Stranded, Yellow, 1. Ft. (0.3. M) . Category 6 For Network Device . 1 Ft . 1 X Rj. 45 Male Network . 1 X Rj. 45 Male Network . 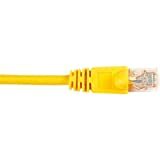 Yellow "Product Type: Hardware Connectivity/Connector Cables"
Black Box Cat6 Value Line Patch Cable, Stranded, Blue, 10. Ft. (3.0. M) . Category 6 For Network Device . 10 Ft . 1 X Rj. 45 Male Network . 1 X Rj. 45 Male Network . Blue "Product Type: Hardware Connectivity/Connector Cables"
Black Box Cat6 Value Line Patch Cable, Stranded, Black, 2. Ft. (0.6. M) . Category 6 For Network Device . 2 Ft . 1 X Rj. 45 Male Network . 1 X Rj. 45 Male Network . Black "Product Type: Hardware Connectivity/Connector Cables"
5Ft Cat6 Snagless Unshielded (Utp) Network Patch Cable . Purple . Category 6 For Network Device . Rj. 45 Male . Rj. 45 Male . 5Ft . 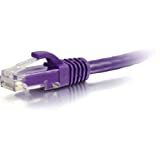 Purple "Product Type: Hardware Connectivity/Connector Cables"
Black Box Cat6 Value Line Patch Cable, Stranded, Green, 3. Ft. (0.9. M) . Category 6 For Network Device . 3 Ft . 1 Pack . 1 X Rj. 45 Male Network . 1 X Rj. 45 Male Network . 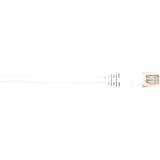 Green "Product Type: Hardware Connectivity/Connector Cables"
Black Box Cat5e Value Line Patch Cable, Stranded, Orange, 1. Ft. (0.3. M) . Category 5E For Network Device . 1 Ft . 1 X Rj. 45 Male Network . 1 X Rj. 45 Male Network . 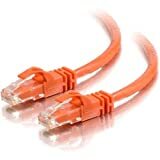 Orange "Product Type: Hardware Connectivity/Connector Cables"
Black Box Cat6 Value Line Patch Cable, Stranded, Green, 1. Ft. (0.3. M) . Category 6 For Network Device . 1 Ft . 1 X Rj. 45 Male Network . 1 X Rj. 45 Male Network . 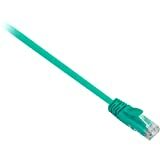 Green "Product Type: Hardware Connectivity/Connector Cables"
8Ft Cat5e Snagless Unshielded (Utp) Network Patch Cable . Yellow . Category 5E For Network Device . Rj. 45 Male . Rj. 45 Male . 8Ft . 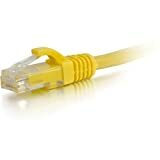 Yellow "Product Type: Hardware Connectivity/Connector Cables"
Black Box Cat6 Value Line Patch Cable, Stranded, Blue, 4. Ft. (1.2. M) . Category 6 For Network Device . 4 Ft . 1 X Rj. 45 Male Network . 1 X Rj. 45 Male Network . 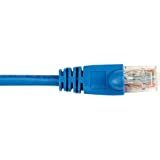 Blue "Product Type: Hardware Connectivity/Connector Cables"
Black Box Cat6 Value Line Patch Cable, Stranded, Blue, 2. Ft. (0.6. M) . Category 6 For Network Device . 2 Ft . 1 X Rj. 45 Male Network . 1 X Rj. 45 Male Network . Blue "Product Type: Hardware Connectivity/Connector Cables"
Black Box Cat5e Value Line Patch Cable, Stranded, Green, 3. Ft. (0.9. M) . Category 5E For Network Device . 3 Ft . 1 X Rj. 45 Male Network . 1 X Rj. 45 Male Network . Green "Product Type: Hardware Connectivity/Connector Cables"
Black Box Cat5e Value Line Patch Cable, Stranded, Black, 2. Ft. (0.6. M) . Category 5E For Network Device . 2 Ft . 1 X Rj. 45 Male Network . 1 X Rj. 45 Male Network . Black "Product Type: Hardware Connectivity/Connector Cables"
5Ft Cat6 Snagless Crossover Unshielded (Utp) Network Patch Cable . Orange . Category 6 For Network Device . Rj. 45 Male . Rj. 45 Male . Crossover . 5Ft . 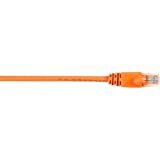 Orange "Product Type: Hardware Connectivity/Connector Cables"
Black Box Cat6 Value Line Patch Cable, Stranded, Green, 20. Ft. (6.0. M) . Category 6 For Network Device . 20 Ft . 1 Pack . 1 X Rj. 45 Male Network . 1 X Rj. 45 Male Network . 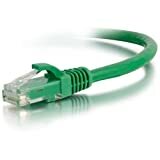 Green "Product Type: Hardware Connectivity/Connector Cables"
2Ft Cat5e Snagless Unshielded (Utp) Network Patch Cable . Green . Category 5E For Network Device . Rj. 45 Male . Rj. 45 Male . 2Ft . Green "Product Type: Hardware Connectivity/Connector Cables"
Black Box Cat5e Value Line Patch Cable, Stranded, Black, 10. Ft. (3.0. M) . Category 5E For Network Device . 10 Ft . 1 X Rj. 45 Male Network . 1 X Rj. 45 Male Network . 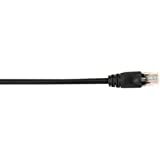 Black "Product Type: Hardware Connectivity/Connector Cables"
V7 Cat.5E Patch Cable . Category 5E . 3 Ft . 1 X Rj. 45 Male Network . 1 X Rj. 45 Male Network . 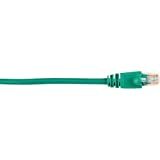 Green "Product Type: Hardware Connectivity/Connector Cables"
Black Box Cat6 Value Line Patch Cable, Stranded, Blue, 6. Ft. (1.8. M) . Category 6 For Network Device . 6 Ft . 1 X Rj. 45 Male Network . 1 X Rj. 45 Male Network . 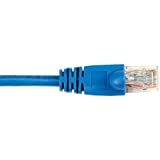 Blue "Product Type: Hardware Connectivity/Connector Cables"
Black Box Cat6 Value Line Patch Cable, Stranded, White, 2. Ft. (0.6. M) . Category 6 For Network Device . 2 Ft . 1 X Rj. 45 Male Network . 1 X Rj. 45 Male Network . White "Product Type: Hardware Connectivity/Connector Cables"